An eminent and influential scientist, Lovelock first proposed the Gaia Hypothesis that the Earth as a single highly complex organism the 1970s. Now proven correct, Lovelock told the experts in attendance that “…now we are at war with the Earth and as in a blitzkrieg, events proceed faster than we can respond“. He calculates that Earth’s average global temperature will shoot up an apocalyptic 6 degrees C when the atmosphere has 500 ppm of CO2 (carbon dioxide). At the current, accelerating rate of CO2 emissions that may come in as soon as 30 years but almost certainly before 2050. What Do We Do Now……? 1. Realize reducing our carbon footprint is not nearly enough. 2. Natural ecosystems must be preserved at all cost for they are the way in which the Earth regulates temperature. 3. Some farm land needs to revert to its natural state for the same reason. 5. Figure out how to adapt to the massive changes coming — one metre sea level rise, hundreds of millions of climate refugees, climates too hot to grow food. Read Lovelock’s speech“Climate change and the living earth”; or go get the RealPlayer vidcast. Thanks for the link to the actual video of the Lovelock speech. I feel as if I was there in the audience listening to the great man speak. The wonders of the Internet — who needs airplanes when we can just go anywhere by links? Good report, good speech. For sure…..these experts say this catastrophe is always around the corner. Its always” around the corner”!! What a sick sad expensive joke this climate change nonsense has become. The environmental movement is the most lame,irresponsible bunch of handwringing sanctimonious phonies around today. Climate change will go down in history as the greatest fraud and hoax ever perpetrated on society. At first this news would have deeply depressed me, but I am starting to take on the view that perhaps “a sustainable retreat” is for the best. We must adapt; rather than seeking merely to reverse the damage done, it is essential that we continue to evolve in our reltationship to the planet. It is easy for people with a narrow-view of the world to dismiss this interconnected climate change concept as rubbish…and I have started to also consider that perhaps this is just another evolution of that crazy “survival of the fittest” theory…let’s hope the innovative and broadly-inquisitive minds of today prevail! Savanger — How I wish you were right. I have talked to hundreds of scientists around the world in the past ten years and seen many of the things predicted years ago come to pass. I have seen and heard evidence. You offer opinion without any facts. ApK — Adapt we must. My hope is that CC will help us create a new and more sustainable relationship between each other and with the Earth. We’re all ON this together. Lifeboat Earth. The first thing we should do is impeach Cheney, who stated very clearly his intent to be sure that Big Oil remains king: “the American way of life is non-negotiable”. “At first this news would have deeply depressed me, but I am starting to take on the view that perhaps “a sustainable retreat” is for the best. We must adapt; rather than seeking merely to reverse the damage done, it is essential that we continue to evolve in our reltationship to the planet. AdPk, wherever, you are , email me at danbloom GMAIL, would love to chat about polar cities and get your feedback. With those alarming opening words, British scientist James Lovelock, author of the new book, “The Vanishing Face of Gaia: A Final Warning,” is delivering a sobering message to large and influential audiences around the world. He says there’s nothing we can do now but adapt and survive. He claims it is too late for sustainable development and says civilization’s best strategy is “sustainable retreat.” If we stopped burning fossil fuels tomorrow, he explains, it wouldn’t do much. We’ve already released enough carbon over the past hundred years to push us past the point of no return. When prompted, Lovelock says, the only way we could do something meaningful to avoid catastrophe is to extract and permanently store CO2 from the atmosphere, in addition to dramatically reducing our emissions. And the approach with the most potential, says Lovelock, is to turn biomass material into charcoal, now re-branded as “biochar,“ in a process known as “pyrolysis” and then bury it. The biochar, unlike the original biomass, can’t rot and release CO2 into the atmosphere. It doesn’t oxidize. It is chemically stable for hundreds of years, meaning the carbon is permanently sequestered. “This makes it safe to bury in the soil or in the ocean,” writes Lovelock. Lovelock isn’t alone in his enthusiasm for biochar sequestration. Australian biologist Tim Flannery, author of the bestselling climate-change book, “The Weather Makers,” is an avid supporter of the approach. James Hansen, head of the NASA Goddard Institute for Space Studies and a professor of Earth sciences at Columbia University, also sees an important role for turning biomass into charcoal as long as it’s done responsibly. Regardless of whether you believe human action can ultimately impact climate change, the overwhelming sentiment throughout the world is that we must do everything possible to reduce and offset human-emitted greenhouse gases. Strategies are currently being considered about the best ways to do just that. If we’re serious about halting the rise of – and eventually lowering – CO2 concentration in the atmosphere, biochar could prove the best way. The challenge, as with all other carbon-mitigation approaches, comes with reaching scale. Can biochar be produced to a large enough scale to make a measurable impact? The answer lies in the triple-bottom-line perspective. In other words, the only way it can happen is if it can be produced in ways that meet the needs of people, planet and profit. What makes biochar perhaps the most compelling solution is that it also provides significant benefits that go way beyond carbon mitigation. It allows us to more sustainably manage organic waste from municipalities, croplands, and wastewater treatment plants. 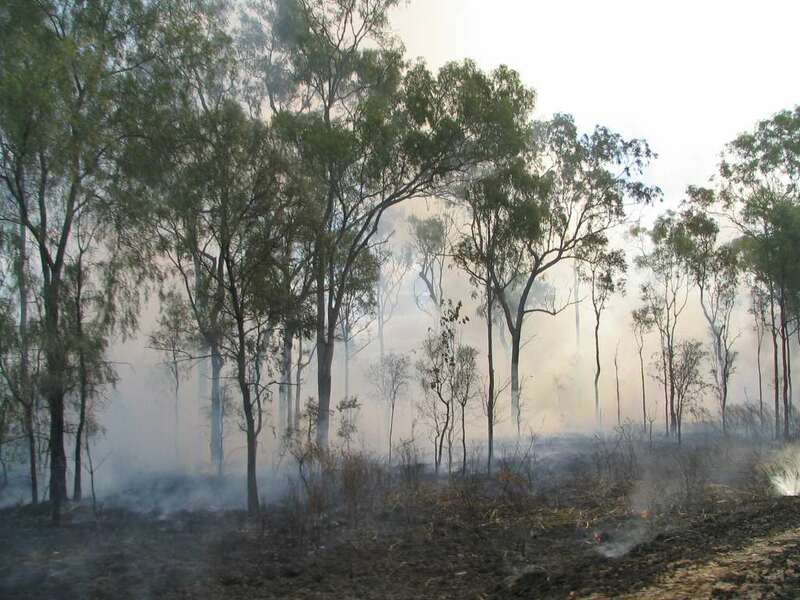 In addition, it can help manage a certain amount of residues from forested lands which are largely responsible for the rapid spread of forest fires. …The total benefits that potentially flow from biochar production and use include waste reduction, energy co-production, improved soil fertility and structure, and carbon emissions mitigation. Not all of these benefits are well accounted for under current economic systems, but under the carbon-constrained economy most are projecting for the near future, the carbon emission mitigation benefit is likely to be accounted for as an economic benefit. Fossil fuels are carbon-positive — burning them adds more carbon to the atmosphere. Ordinary biomass fuels are carbon neutral — the carbon captured in the biomass by photosynthesis would have eventually returned to the atmosphere through natural processes — burning plants for energy just speeds it up. Biochar systems can be carbon negative because they retain a substantial portion of the carbon that would otherwise be emitted by the plants or waste matter when it rots. The result is a net reduction of carbon dioxide in the atmosphere. Located in the headwaters of the Port Orford Community Stewardship Area in Southern Oregon, Ocean Mountain Ranch (OMR) is a mixed-use development project that will incorporate residential, agricultural, educational, recreational, and industrial uses. It overlooks the newly-designated Redfish Rocks Marine Reserve and the largest remaining old growth forest on the southern coast in Humbug Mountain State Park. OMR is planned to be developed pursuant to a forest stewardship management plan which has been approved by the Oregon Department of Forestry and Northwest Certified Forestry under the high standards of the Forest Stewardship Council (FSC). OMR will provide for long-term yield of high quality hardwood, softwood, and wildlife habitat. OMR is also serving as a pilot program and is expected to achieve carbon negative status through the utilization of low impact development practices, energy efficient buildings, renewable/clean energy systems, distributed waste management systems, biochar production, and other practices – with certification as a SLDI-Certified Sustainable Project. The land development industry is uniquely positioned to utilize SLDI best management practices to take advantage of emerging ancient and new biochar technologies to help address a multitude of pressing environmental, social and economic concerns by balancing the needs of people, planet and profit – for today and future generations.